The UConn football team (3-6, 1-5 American Athletic Conference) looks to get back on track Friday when they host the star quarterback Phillip Walker and the Temple Owls (6-3, 4-1 in conference) at 7 p.m. at Rentschler Field. The Owls are fresh off a 34-13 victory over the Cincinnati Bearcats, a team the Huskies have also beat this year, by a score of 20-9. 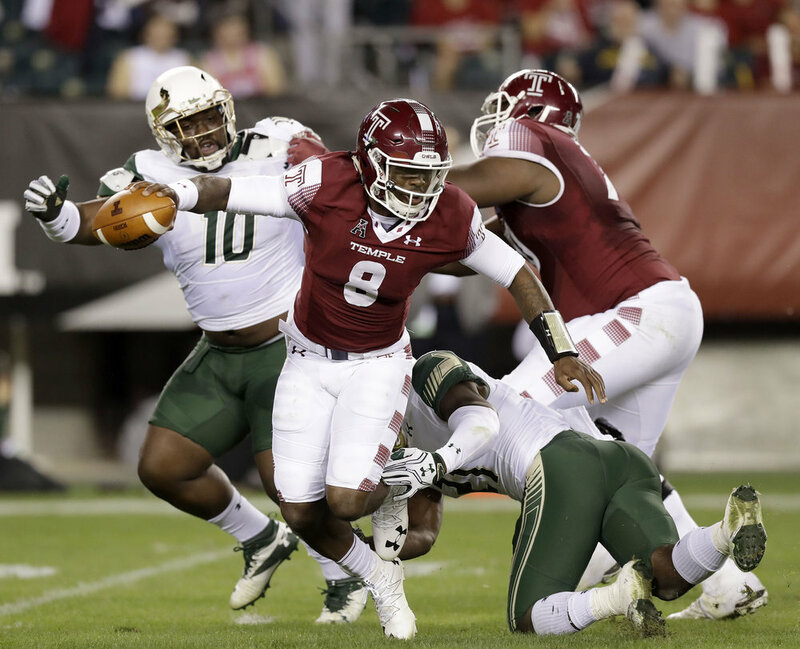 Running back Jahad Thomas led the way for Temple’s victory on Saturday. The senior had a strong day in the ground game, despite not being able to find the end zone. It ended his NCAA-best streak of consecutive games with two or more touchdowns. Thomas’ 151-yards was still a team high. Saturday’s game was just more of the same from Thomas. He’s averaged 81 yards this season on the ground to go along with 40 receiving yards. His 12 total touchdowns on the season have put Thomas on the Maxwell Award Watch List as the top offensive player in the country. Despite the success of Thomas, the real danger on this Owls’ team is senior quarterback Phillip Walker. Walker is on the Maxwell Award Watch List for top offensive players, and is also on the Davey O’Brien and Johnny Unitas Golden Arm watch lists, for the top quarterbacks. Walker is Temple’s all-time leader in touchdown passes, completions and total offense. If Temple makes it to a bowl game this year, Walker would be the first Owls quarterback to lead Temple to multiple bowl games. This season, Walker has thrown for 1,990 yards with 13 touchdowns and 10 interceptions in nine games. He’s not much of a threat on the ground, but has found the back of the end zone for one rushing touchdown on the season. The receiving corps for Temple is dangerous. Five receivers have more than one touchdown, and two receivers, junior Keith Kirkwood and sophomore Ventell Bryant, have logged over 400 receiving yards, with 420 and 412-yards, respectively. On the defensive side, sophomore Delvon Randall leads the secondary with three interceptions. Senior defensive lineman Haason Reddick leads the defense with 7.5 sacks.